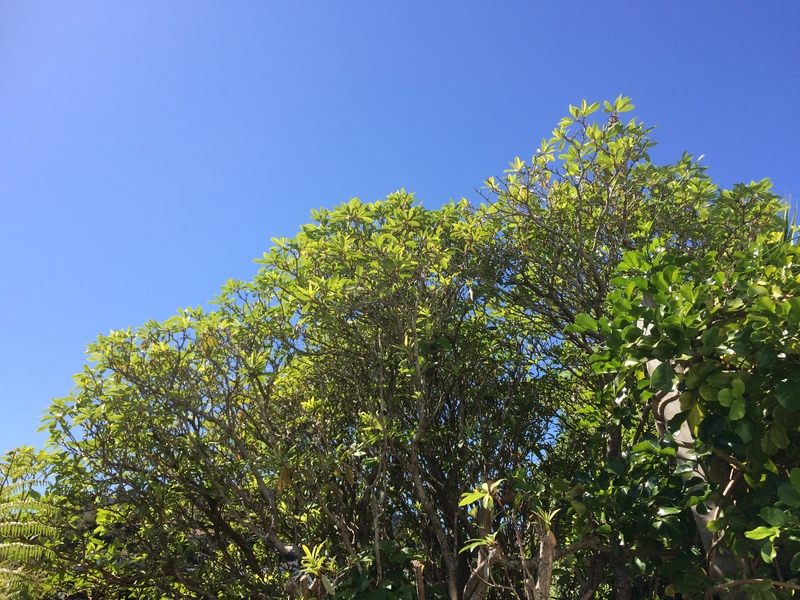 Kia ora koutou from Wellington…where just like last week, the sky is blue and we are being deafened by cicadas. Thanks once again to The Propagator for allowing us to share what is going on in our gardens. It is really dry here, with brown patches everywhere and I’ve been out with the watering can again every day. There is a huge forest fire burning south of Nelson (top of the South Island), which has been burning since Tuesday. Firefighters were not able to push back the 2100-hectare fire on Friday night, but at least they were able to contain it. No proper rain is forecast either, and we have been warned that as climate change continues, incidents like this could become more frequent. Anyway, first of my six this week, I spotted, this bee enjoying lunch at a nasturtium. Second up, I’ve added another sage – this time this purple one. I think I have probably run out of space…but am quite sure come spring I’ll manage to find some! One of my favourite herbs is dill. I love the smell when it hits warm potatoes, when on the top of fish, or mixed through a potato salad. I bought some today to add to potato salad, and am wondering if I will be able to keep it going in a proper pot. I’ll give it a go anyway, and have nothing to lose as it will get eaten anyway! Just a side note: dill here in New Zealand doesn’t seem to have such a strong taste as that in Northern Europe for some reason. It’s getting towards the time of year to think about bulbs, and I picked up these miniature daffodil bulbs today when at the garden centre. I have in mind the rest I want, which I will probably order online. Look what I got! Yes my wonderful husband treated me to this elho vegetable planter. Now we have to figure out how to get 56 litres of soil up the 89 steps to our house….. Finally, the oregano that has been sitting in a bit pot and has thrived on benign neglect over the years, has suddenly ‘gone rogue’ and is flowering and growing out all over the place. The flowers can of course also be eaten, but the plant needs a good trim and tidy. Well, that is it for now from Wellington. Look forward to seeing your garden posts! Footnote: as I was writing this post, I could smell smoke, and went outside to see if I could see anything – well this was what I could smell – a scrub fire in another part of the city. My mini daffodils are looking set to flower soon. Signs of warmer times up here in the frozen north. Good luck with your new veg trough. Look forward to seeing the daffodils. Thanks for the good luck – will be interesting to see how it works out. Yes will be interesting. We have nowhere to plant vegetables, so worth a try at least. I hope you het some rain soon and the fire risk goes away. We have rogue oregano or marjoram (I can never tell them apart). Good luck with the soil lugging! Yes we could really do with some rain right now. Looking at the 10 day weather forecast, there looks like a little rain on Tuesday and that is all, but we do expect a wet autumn this year. I think oregano and marjoram just go rogue! And thanks re the soil lugging! Beautiful bee busy on this nasturtium. This planter looks very nice : nice gift ! Thanks! Well, you will be basking in sunshine while we face winter winds :-). Then I can enjoy your blue skies! I remember thinking in the dry patch we had last summer that it would never rain again and right now my garden is looking rather waterlogged. You are right though, with climate change we have to get used to these extremes of temperature. Yes unfortunately we do have to get used to new weather patterns. The vegetable bin looks very favorable! Let us know what you plant in it and how it goes. Jetfire is a great daff – good choice! I thought it looked good – thanks for your recommendation. Ooh I have Jetfire. It should be up soon, or at least up out of the ground. Hope the fire stays well clear of you. I’m almost looking forward to autumn to get planting…everything is so dry here so we are all on fire watching. Interesting you mention dill this week. I was debating should I have another attempt at growing this herb. I think I went wrong last year and left it in full sun. Where are you going to locate yours? I think somewhere it will get a bit of shade from the strong New Zealand sun. I read somewhere that they don’t like being repotted, so I just wonder if this will survive? In any case, I will have dill for food all week! It is a bit small though…will give it a go anyway! Strangely enough I haven’t heard the cicadas at all up here over Summer. I’m with you on the pleasures of dill, and my mouth watered at your description! Such a healthy bunch. Interesting that it seems milder than Europe’s. It is interesting – it could just be to do with whatever strain ended up here? Anyway, I still love it! Jetfire seems to be very popular over here this spring. 5 bulbs won’t go far though. I plant about 25 dwarf daffs in my small pots and they make a nice little cluster. Shame about all the bush fires around the world, they seem to be on the increase and must make it hard for people with breathing problems even if they are nowhere near the actual fire. Smoke seems to travel for miles!